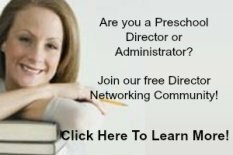 Mice as Classroom Pets? Well, maybe!! 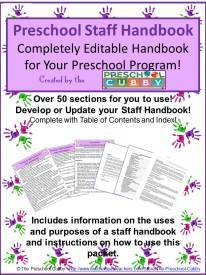 Find out what is involved in having a one in your preschool classroom. A mouse is a mammal. They have fur (or hair) and backbones. 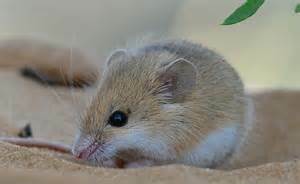 They are a member of the mammal group of rodents. Most rodends have small bodies and sharp, front teeth. There are over 1,000 different kinds of mice!! Most mice are about six inches long from their head to the tips of their tails. They can have from 14-16 babies in a litter! 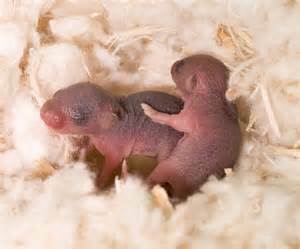 The babies are born with no fur and the can not see at birth. They are considered adults at 12 weeks old. They can become pregnant 8 times per year. The average life span of a mouse is 2-3 years. 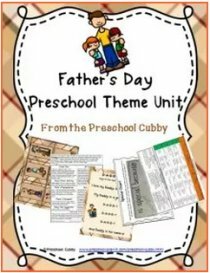 Looking for a free Mice Theme? What kind of home do they need? In the wild, mice live in tunnels that are underground, called burrows. Pet mice like burrows, too. It is innate for them to want to sleep and hide in them. You can use paper towel tubes or you can purchase burrow-type items to place in their cages. Their cage should have lots of air circulation so don't place items on the tops except for the cover that comes with the cage. Please be sure their cage has a flat bottom, not one with with the mesh bottoms. Their little feet can get hurt on these types of cages. There is specially made mouse food that you can purchase at pet supply stores. They like fruit tree branches to munch on. 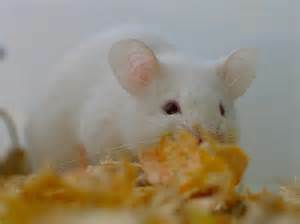 Some no-no's: Mice should NOT eat fruits or vegetables that have not been rinses (due to possible pesticides on them). NO raw meat, food that has gone bad (remove uneaten fresh fruit and veggies from the cage daily) or candy of any kind. What are a mouse's sleeping habits? Mice are nocturnal. They sleep often during the day. 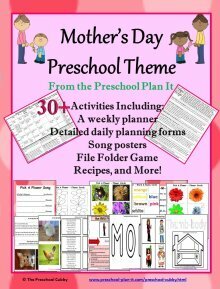 We have found that they play often during the day because of the activity in the classroom! Mice are constantly cleaning themselves. They are always washing their faces and hands and fur! You will need to keep an eye on their teeth and their claws. They both grow. Make sure they have things to chew on to keep their incisors from overgrowing. Great items are a piece of fruit-tree wood, carrots, etc. Their nails many need to be trimmed if they get too long. Be careful not to cut the quik, or they will bleed. I was nervous about trimming our pet's nails so I brought them into the vet every couple of months for a mani and pedi! 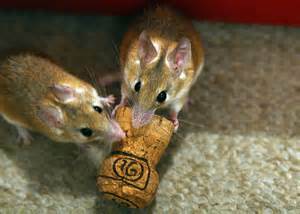 Mice like to play. They are very fast runners, so be careful when handling them! If they get loose, you may never find it again! A running wheel is great for them, but PLEASE, choose one that has NO OPENINGS...their tails can get stuck in them. If a mouses ears are back (flat agains it's head) and/or it shakes or vibrates its tail, it is angry--NOT a time to pick it up! 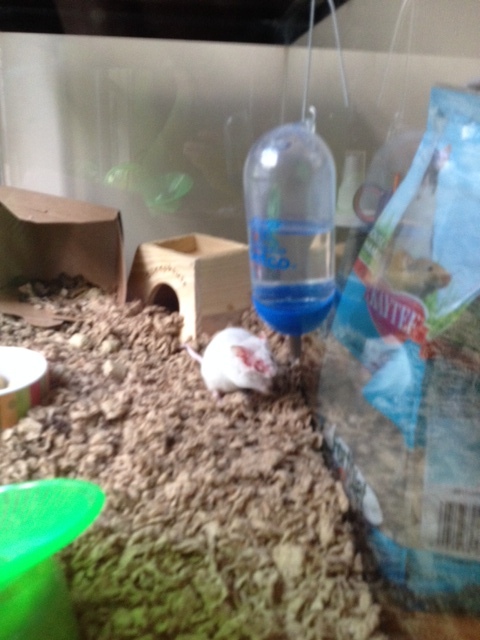 Meet Mary the Albino Mouse! My daughter is a teacher and was nominated to take Mary home for the summer. Note Mary's raw, pink cheek in the video below. She had some mites from being with other mice who were not healthy. 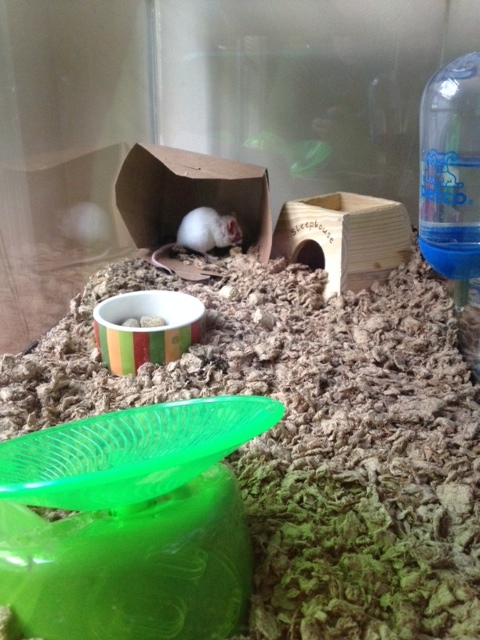 What do you need for your mice as classroom pets? Toys for exercise such as climbing houses or a box with an entrance for htem to go in and climb on. Active toys such as bells on strings and running wheels. Glass or ceramic bowl for food (they chew up everything!) 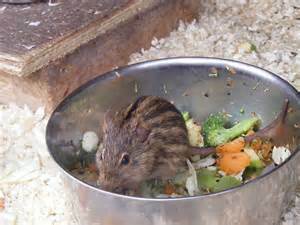 or a durable bowl meant for mice! Water bottle with sipping tube. Travel cage (if you will be taking your mouse home at night, the weekends or on vacations. 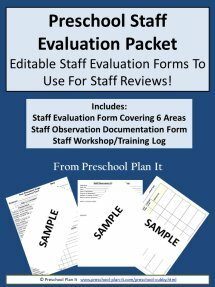 Below are some resources you might find helpful. You should be able to find them at your local pet supply store. Amazon links are below-you can find some awesome deals with them! 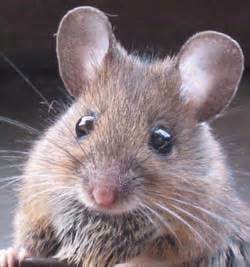 Some mice, like most small critters, can become afraid and feel threatened when held too tightly. It depends upon the mouse as each one is different. It is equally important to wash hands with soap after handling them. The average temperature that they like is around 65-80 degrees F.
Do not place their cages in too sunny of an area. In the winter, be sure they have heat. If you teach at a program where the heat automatically goes off or below 62 degrees at night, your classroom is not the best environment for your mouse at night. If they become too cold, they will go into a hibernation (deep sleep mode). Their heart rates slow down and they will appear dead. 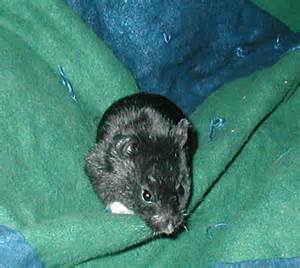 Although not a mouse, hamsters can go into the same hibernation state and ours did! We thought for sure he had died in the night. I came into the classroom one morning and he was not moving. I picked him up: Nothing. I could not feel or hear breathing and his body was relatively stiff. Yup, off to the vet I went. He was hibernating! His home was a class fish tank with a screened cover. We had an early freeze that night and the heat did not click on. It is important to clean the cage a few times a week. For some reason, mice are much smellier than hamsters or guinea pigs. It is important to stay on top of the cleaning. When choosing a mouse, it is important to look for signs of illness or disease. They are often housed together in cages and cramped. Look for clean ears and nose. Look for a clean bottom (you know, where he goes the bathroom from!). Look for bites, sores, balding areas. If you see this, that mouse possibly has mites which means the others in that cage might also. Avoid purchasing these. Also, observe the mice. Are any of them scratching themselves often or are many scratching? Another sign of mites. It is difficult for anyone who loses any type of pet. As teachers, we will all deal with the loss of a pet at some level. It may be the loss of our own pet, the loss of our classroom pet or helping a child and family deal with the loss of their personal pet. Losing a pet is difficult and very emotional for children and adults alike. There is a grieving process that happens. CLICK HERE to read my article about this. 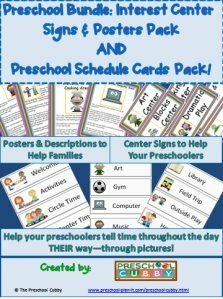 You may find helpful if dealing with this with your preschoolers. It also includes a list of books that might help. Return to the Classroom Pets MAIN Page to read more about other types of Classroom Pets!